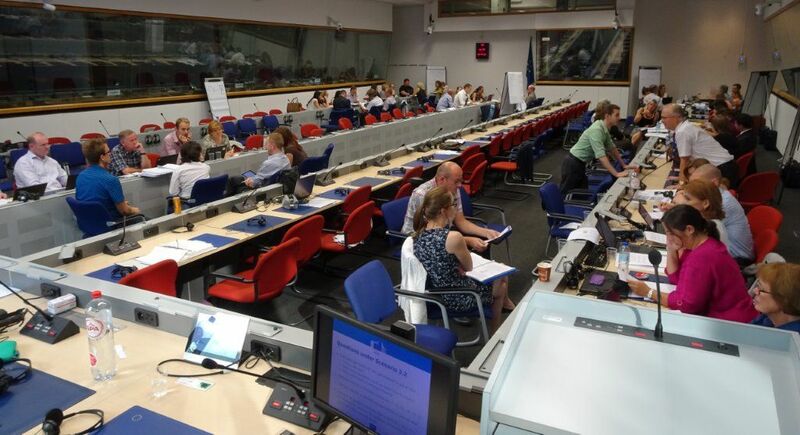 Following the previous EU Commission DG Clima training events, attended by EMICERT, three of our verifiers participated on Wednesday 14th and Thursday 15th of September, at the latest workshop that took place in Brussels. The objective of the event, was to provide training on several of the most complex issues associated with EU ETS verification. The discussed topics included sampling and scope of verification, materiality and reasonable assurance judgements, notification of temporary changes to the MP and data gaps. Furthermore, the event covered issues regarding changes in the capacity, activity levels and operation of an installation. The event had representatives from the EU ETS Competent Authorities (CAs), the National Accreditation Bodies (NABs) and a few Verifiers and it allowed extensive exchange of views and discussion among the participants. It involved case studies with questions related to each topic, covering a wide range of information. All scenarios were discussed in small groups between the participants. The training event was completed drawing to several interesting conclusions and the findings were summarized and discussed thoroughly.